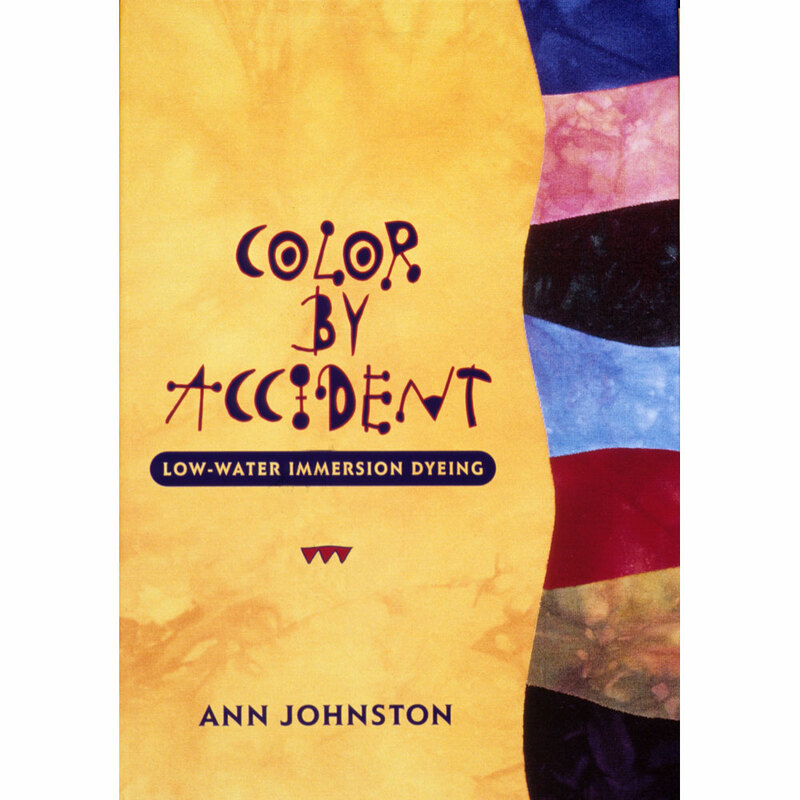 The information in this book is contained in the first chapter of Ann’s DVD Color by Accident: Exploring Low Water Immersion Dyeing. The 4.5 hour DVD has an additional 5 chapters that demonstrate 15 years more experimentation. This book will be out of print sometime in 2018. "A wonderful textbook reflecting years of practice and experimentation! Clear. Concise. Well thought out… and easy to understand. The recipes have been tried over and over again until they have proven to give great results. Readers will begin to see the enormous flexibility in all of these approaches to dyeing while at the same time gaining a much deeper understanding of the nature of dyeing. This book will become a classic for anyone wanting to create their own vocabulary of fabrics."